Have You Seen My Monster is the charming follow-up to last year's Have You Seen My Dragon? 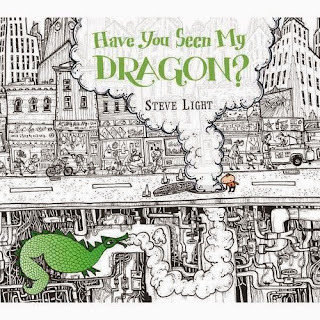 by the very creative Steve Light in which a little boy traipses through the black and white city looking for his green dragon. As the boy counts things while dragon hunting, the objects he counts pop out in bright colors. 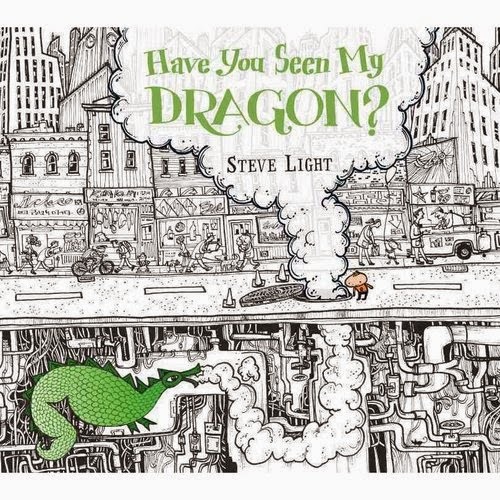 Have You Seen My Monster follows a similar pattern and, while I thought the dragon from the last book was a treat, Light's cheerful monster is downright cuddly. And, like the first book, the endpapers serve as a fantastic map of all the places visited in each book. 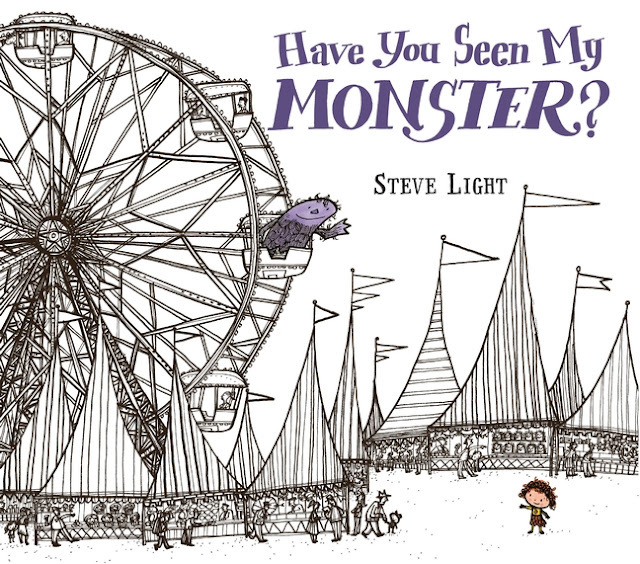 Have You Seen My Monster is set at a county fair with a little girl looking for her friend and finding an array of shapes as she hunts. 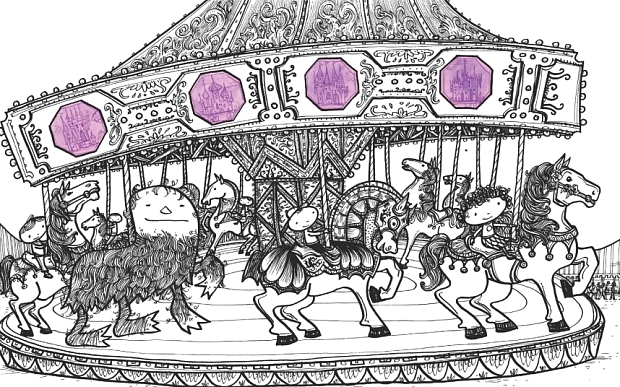 As she hunts for her monster high and low, from carousel to pie contest to fun house, a box in the upper right hand corner of each page names a shape that is also the only spot of color in each illustration. Light brings a fantastic selection of shapes to Have You Seen My Monster as well. Along with all the shapes we would expect to see is a trapezium (found on a tractor) and a parallelogram, a curvilinear triangle and a heptagon. And, of course, Light includes the nonagon. As the book comes to a close, the little girl finds her monster hanging out with the stuffed prizes at a game booth. The two leave the fair, hand in paw, as the crescent moon hangs in the sky!